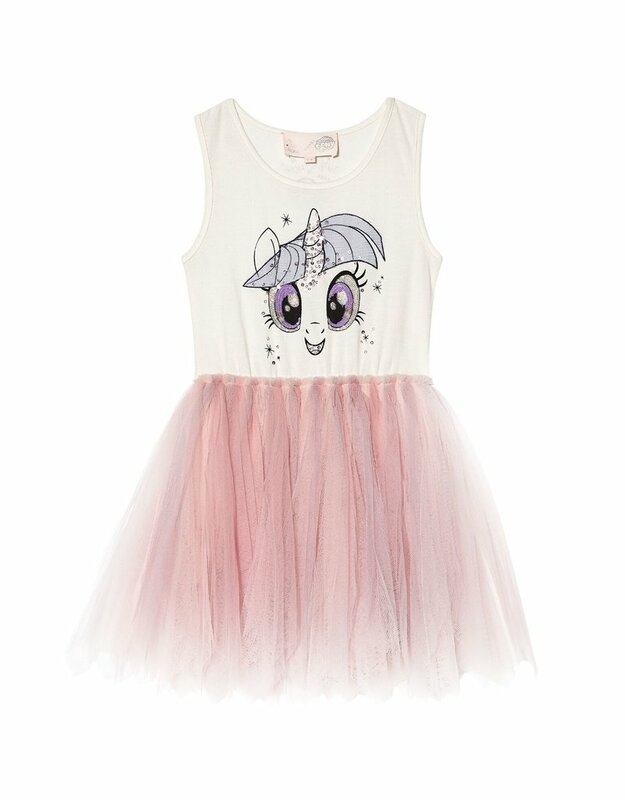 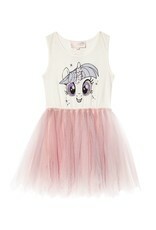 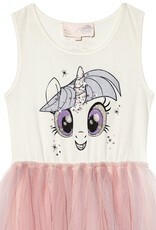 Skip to Ponyville playground with the Magical Mystery Tutu Onesie. 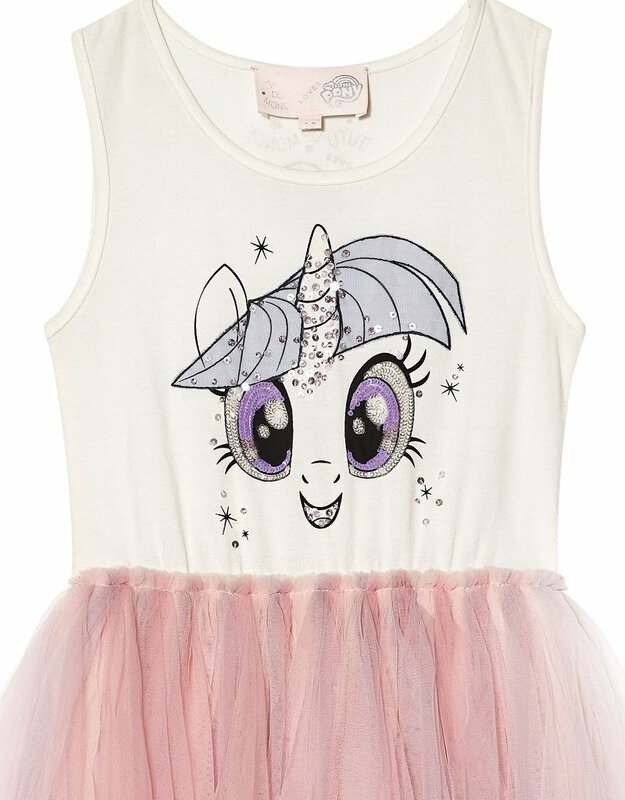 This fun-filled onesie features a tank bodice with a screen print of a magical pony, the mystical glance of hand beaded unicorn eyes and a scattering of beads and sequins for extra shimmer. 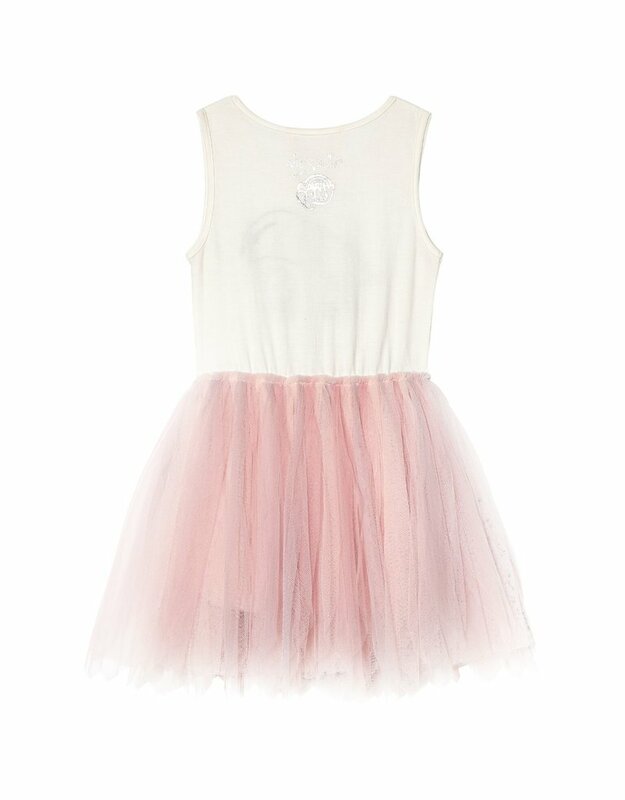 Easy to wear, the bodice is made from a stretch jersey cotton and a multi tier tulle skirt that sits above cotton bloomers which are secured by snap closures.